Get back to nature and into the wild on a thrilling aquatic and wildlife adventures within the spectacular Great Sandy National Park. Only able to be accessed by 4X4 along the beach, Double Island Point is the Sunshine Coast’s best kept surf and wildlife secret. Tropical, warm waters all year round, long empty surf and a buzzing hub of wildlife are some of many of the National Park’s highlights. Bottlenose dolphins, Humpback whales, turtles, rays and many different bird species are all frequently experienced in here. 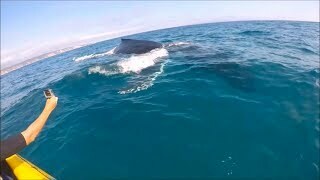 Dolphin View Kayak Tours, Surf Lessons on Australia’s longest wave, Stand Up Paddle Eco Tours, Kitesurfing Lessons and other exhilarating wilderness adventures. All tours and surf lessons depart daily from Noosa and Rainbow Beach. Epic Ocean Adventures offer half day and full day packages, private and corporate bookings, team building and school programs and more. Noosa surf lessons with Epic Ocean Adventures, a unique National Park surf adventure at Australia’s longest and safest wave, Double Island Point. This right hand sandy point break has rides on it’s best days well over one kilometre long and with expert guidance you can experience the thrill of surfing on super fun long waves with friends and family that will make your progression rewarding and fast. Noosa Surf Lessons at Sunshine Coast’s hidden surfing paradise is only accessible by 4X4 vehicles through the Great Sandy National Park. Join a unique 4X4 surf lesson adventure from Noosa North Shore, along the spectacular Teewah Beach to Double Island Point. This incredible National Park surf location features a pristine headland and a long sandy point break with waves that seem to go forever and one of the easiest most satisfying waves you can ever experience a surf lesson on. They often have complete beginners riding waves for 100’s of metres long on their first learn to surf lesson. 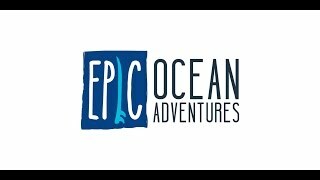 Contact Epic Ocean Adventures now and join the Epic Ocean Adventures experience. Experience an Epic Ocean Adventure back to nature and into the wild with a Noosa Dolphin View Kayak Tour. Feel the thrill of a stunning 4X4 adventure along the spectacular Teewah Beach from Noosa’s North Shore, deep into the Great Sandy National Park to a pristine ocean kayaking location, Double Island Point. Immerse yourself in the views and natural beauty of Australia’s Nature Coast on a guided kayak tour whilst experiencing a buzzing hub of wildlife including Bottlenose dolphins, Humpback whales, turtles, rays and more in this tropical aquatic paradise. This location features scenic views of the Rainbow Beach coloured sands, Fraser Island and pristine Honeymoon Bay. Double Island Point is only accessible by 4X4 vehicles from Noosa around the low tide, its away from the crowds and into the heart of the Great Sandy National Park where many of the local and migrating wildlife can be experienced. 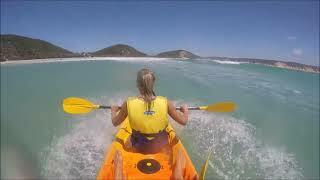 No experience is required for this Noosa kayak tour, beginner friendly location and suitable for all levels. Departure times vary daily as a result of tide times to access Double Island Point along the beach. Please reconfirm for specific departure times. Please allow 5-6 hours from pick up to drop off. 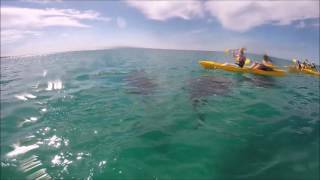 Experience an Epic Ocean Adventure back to nature and into the wild with the Rainbow Beach Dolphin View Kayak Tour. Feel the thrill of a stunning 4X4 adventure along the spectacular Great Beach Drive from Rainbow Beach, deep into the Great Sandy National Park to a pristine ocean kayaking location, Double Island Point. Double Island Point is only accessible by 4X4 vehicles from Rainbow Beach around low tide, its away from the crowds and into the heart of the Great Sandy National Park where many of the local and migrating wildlife can be experienced. No experience is required for this Eco kayak tour, beginner friendly location and suitable for all levels. Departure times vary daily as a result of tide times to access Double Island Point along the beach. Please contact for specific departure times. Please allow 3-3.5 hours for this tour from Rainbow Beach. Rainbow Beach surf lessons with Epic Ocean Adventures are an exclusive National Park surf adventure at Double Island Point, home of Australia’s longest and safest wave. This right hand sandy point break has rides on it’s best days well over one kilometre long in the pristine tropical water within the Great Sandy Marine Park. The exclusive Rainbow Beach surf adventure takes you away from the surfing crowds by 4X4 along the beach at low tide and is ideal for all levels and ages from seven years up. Experience surfing on super fun long waves in a pristine National Park with friends and family that will make your progression rewarding and fast. Rainbow Beach surf lessons are in ideal waist deep tropical water with friendly instructors that are highly experienced and fully qualified to get you surfing and having fun in a safe, uncrowded National Park environment. Each surf lesson your surf instructors will ensure you are progressing well and up and surfing fast with individual guidance in technique adjustments and improvements but most of all having fun! Epic Ocean Adventures guarantee that you will stand up on your first learn to surf lesson! Take a thrilling Noosa Stand Up Paddle Adventure to Sunshine Coast’s hidden tropical wildlife paradise, Double Island Point. The spectacular wind swept coloured sand cliffs protect many of the flat water lagoons and much of Honeymoon Bay making for an ideal natural environment to explore and experience the local wildlife on a guided stand up paddle lesson. Double Island Point can only be accessed by 4X4 along Teewah Beach around the low tide and the wilderness is typically remote, uncrowded and perfect for stand up paddling with crystal clear flat water lagoons and a super long sandy point break ideal for beginners, intermediate and advanced looking to take the next step into the waves. If you're already well advanced in stand up paddling then why not come and explore the magical waters of Honeymoon Bay in Noosa’s pristine Great Sandy National Park. Expect to see many of the local wildlife on your Noosa stand up paddle adventure with many turtles often seen feeding and resting in the clear shallows of the lagoons and ocean including the Green Sea turtle, Loggerhead and Hawksbill turtle. Rays, Bottlenose dolphins, many different bird species, Humpback whales all frequent here. Take a thrilling Rainbow Beach Stand Up Paddle Adventure to Sunshine Coast’s hidden tropical wildlife paradise, Double Island Point. The spectacular wind swept coloured sand cliffs protect many of the flat water lagoons and much of Honeymoon Bay making for an ideal natural environment to explore and experience the local wildlife on a guided stand up paddle lesson. Double Island Point can only be accessed by 4X4 along the Great Beach Drive from Rainbow Beach around low tide. The wilderness is typically a remote location perfect for stand up paddling with crystal clear flat water lagoons and a super long sandy point break ideal for beginners, intermediate and advanced. Expect to see many of the local wildlife on your Rainbow Beach stand up paddle adventure with many turtles often seen feeding and resting in the clear shallows of the lagoons and ocean including the Green Sea turtle, Loggerhead and Hawksbill turtle. 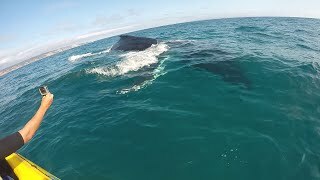 Rays, Bottlenose dolphins, many different bird species, Humpback whales. Enjoy this eco based stand up paddle experience and learn about Australian nature, conservation and protection of the vulnerable National Parks and the importance of high levels of sustainable practices in the enjoyment and education of pristine natural surroundings. 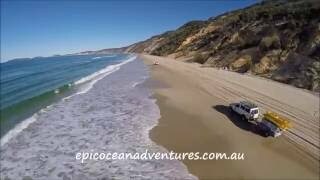 Noosa Private Day Tours with Epic Ocean Adventures offering the ultimate day out at Noosa on a private personalised National Park nature and adventure experience your family and friends wont forget. Feel the thrill of the unique off road 4X4 tour along Teewah Beach from Noosa North Shore to the pristine aquatic playground of Double Island Point. Here they offer a variety of thrilling activities including Surf lessons – Australia’s longest wave, Dolphin View Kayaking Tours, Stand Up Paddle Lessons and Wildlife Eco Tours. Local, fun and informative guides are highly passionate in the education, conservation and protection of vulnerable National Parks and pride themselves on their high level of sustainable practices in the enjoyment and education of the Great Sandy National Park’s pristine natural surroundings. Expect to see many of the local wildlife on your Private day tour adventure Bottlenose dolphins, Humpback whales (over 35000 to pass this season), turtles often seen feeding and resting in the clear shallows of the lagoons and ocean including the Green Sea turtle, Loggerhead and Hawksbill. 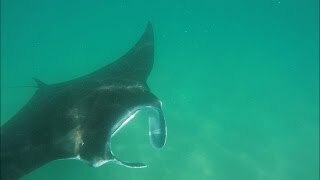 Sting rays, manta rays and many different local and migrating bird species including the Brahminy and Whistling Kite, Eastern Osprey.